Answering this question doesn’t have to be that difficult. We know, there are plenty of social media channels to choose from– probably too many. But, you don’t have to weigh the pros and cons of each channel. The channel or social media space doesn’t determine whether you should be there, your audience does. Where can you best reach your audience? Where does your audience expect you to be? Once you narrow down your list to the places your audience is and would expect to interact with you, then you need to figure out what it would take for you to manage those channels. Want to really understand your audience, then building personas is a key step. How much time will it take to maintain a valuable and engaging presence on the social media sites you choose? Can you handle it in-house or will you have to outsource? Determine what skills your team has and how much time you’ll need to keep up with each channel. Now you know where your audience is and what resources you’ll need to engage with them there. Next, it’s time to use this information to decide which channels you should create and maintain a presence on. For example, let’s say you’ve determined your audience is on Twitter, Facebook, LinkedIn, foursquare, Gowalla, Flickr and YouTube. You have seven possible channels to engage on, but you think you only have the resources to maintain a solid presence on three or four. How do you choose which four? At Philly Marketing Labs, we recently asked ourselves this question. One particular question we had was about Facebook. We’re a marketing agency, and initially thought it might be important for us to be there. 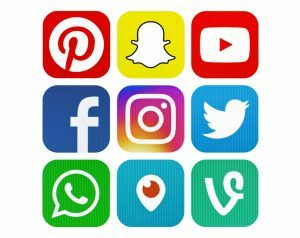 Your total number for each channel then represents a more objective, weighted ranking of how important that particular social media site might be for your business. So using the table above, you would conclude that LinkedIn, Facebook, Twitter and foursquare are the channels you should focus on. Keep in mind, just because you decide today that a certain channel is not one you should be on, that answer may change in the future. Most social media sites are constantly evolving and, to keep up, hopefully your business is too. Post written by Coreen Tossona, Digital Communicator and Brand Strategist for Philly Marketing Labs.